When Ashley Green (of Love Letters 2 Strangers) and I (Jasmine Franklin) teamed up to create #bundleoflove we couldn’t have asked for a more magical afternoon. 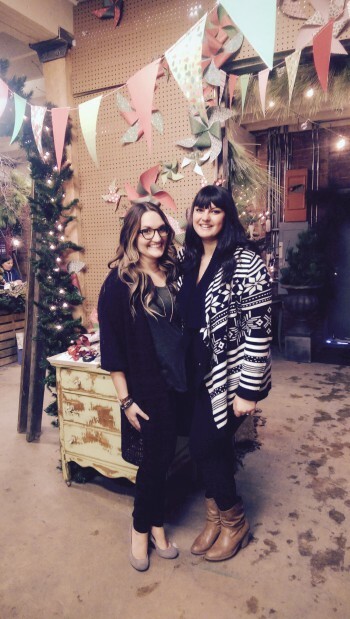 On Sunday, Dec. 7 roughly 50 people joined us at Cory Christopher design studios in Edmonton for the #bundleoflove workshops where Edmontonians could drop off warm clothing donations for #bundleupyeg as well as write letters of love during Ashley’s first public Love Letters 2 Strangers workshop in about a year. Thanks to Cory, the space created an inviting Christmas vibe that inspired creativity throughout the entire workshop. As Christmas-ey candles burned and music filled the air, people were at hard work creating beautiful letters of love for family, friends and even complete strangers. Thank you everyone who was a part of this amazing day. Not only did we create more than 300 love letters, you donated 40 bags of clothing bringing #bundleupyeg to a total of 150 bags collected and delivered in the past 8 weeks. Thank you! 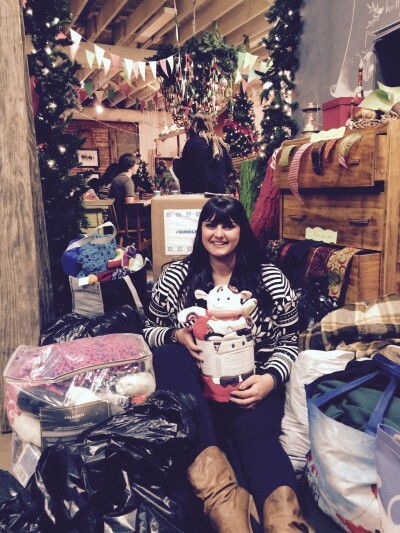 Jasmine Franklin, founder of #bundleupyeg, sits amongst a pile of donated clothing from participants of the #bundleoflove workshop on Dec. 7, 2014.